I’m not a techie, but I try my best to learn from others. I ask a lot of questions, but despite that, I still don’t get it sometimes. LOL! My brain is not really programmed to know a lot of techie stuff, and there are times that technology scares me. My son is my exact opposite. He isn’t afraid to try new things. He was only two years old when he started using our PC. First, he was only watching YouTube videos of his favorite train characters Thomas & Friends. Then, he learned how to type in Word and Excel documents. When his Dad bought a laptop to share between the two of them (because the other laptop is mine alone to use in my work) and we finally disposed of our old PC, Justin was eager to try it, and he has used it more than his Dad does. He knows how to make the laptop’s built-in webcam work; I don’t. He takes pictures of himself and records videos of himself using this webcam. 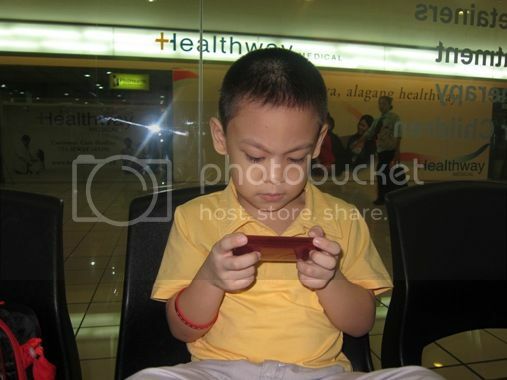 He also uses it when he chats with his lolo, tito and tita, and cousins in Cavite. 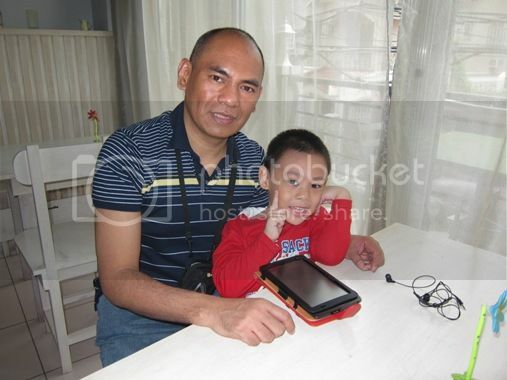 When my husband bought an iPod, it was my five-year-old son who used that for learning and playing games. I didn’t even know how to turn it on. LOL! So what am I saying here? Kids these days are exposed to a lot of things, and we shouldn’t deprive them of the opportunity to explore, discover, and learn new things every day, but of course, we as their parents should always be there to guide them and help them make the right choices. That’s my simple techie tip! This entry was posted in Mommy Moments, Techie Tip. Bookmark the permalink. hey, what’s your husband’s take on Archos? Is it good? They say it has a big storage capacity but Im not really familiar with the brand. You have your Archos pala? I just returned the Archos 7 Internet Tablet which I purchased the other day kasi It can’t play Youtube videos. 🙁 Ganda sana. Thanks for the MM visit nga pala. I can totally relate lol! My four-year-old teaches me stuff too! correct, guidance is a must 🙂 thanks for joining! i agree. we must not deprive them of these things but we can make sure to guide them. my toddlers are still enjoying their time with online educational games but I’ve said ‘enough’ to my eldest. it’s weekends only for him. ← Proud Mommy Moment: My Son Is Singing!